Stunning close up detail focusing on a smooth region on the 'base' of the 'body' section of comet 67P/Churyumov-Gerasimenko. 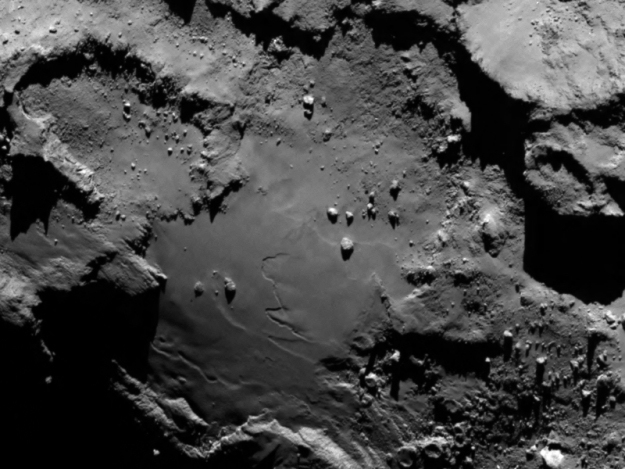 The image was taken by Rosetta's OSIRIS narrow-angle camera and downloaded today, 6 August 2014. The image clearly shows a range of features, including boulders, craters and steep cliffs.